When it comes to real estate investing, you need to forget all about equity. Instead, you need to focus on cash flow. Over time, cash flow generates the real profit on a rental property, particularly one you intend to own for an extended period of time. And, when it comes to growing your real estate empire, you need more properties that generate cash flow, rather than equity. 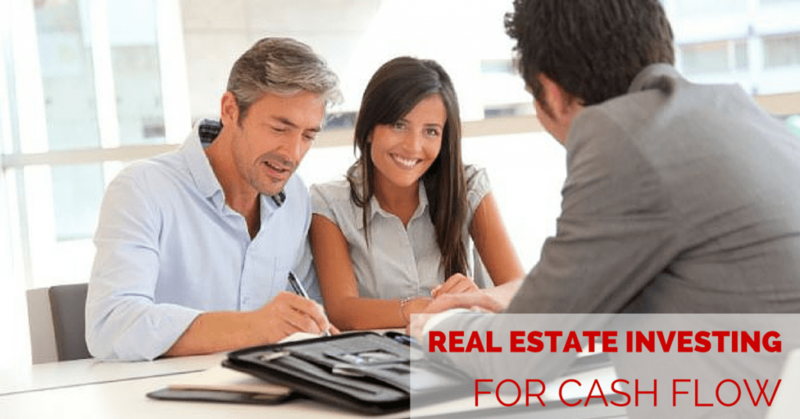 Read how real estate investing for cash flow can maximize your portfolio. Equity is nice, but it won’t pay your bills. In fact, equity might not pay for anything and leave you with a loss after potentially many years of investing. During the time you own that property, you’ll have to pay for taxes, insurance, maintenance, repairs, administrative costs, and other expenses that can cause negative cash flow, which removes money from your bank accounts, instead of making them grow larger. Even if it does turn a profit, equity only does so once, and never again, leaving you with what typically is a very narrow profit margin. About the only time it’s good to focus on equity is when you buy a property at well-below market value, rehab it, and flip it for quick profit. But you’ll have to do that many times over to generate any kind of real cash growth, and you’ll still have the issue of negative cash flow reducing your potential profit the longer you own a property. This being said, often times equity can be an ancillary benefit when investing for cash flow. For example, if you secure good rental tenants for the long term, they’ll in essence help you pay down your mortgage balance, which in turn increases the equity from your property investment. Cash flow greatly outperforms equity when it comes to generating a profit. That’s because your cash flow occurs every month, when it’s time to collect the rents. So long as you have invested wisely and bought a property that generates a consistent profit via high occupancy rates and low maintenance and ownership costs, that property should put money in your bank account every month. When you invest with cash flow in mind, your investment goals generally don’t take into account equity. 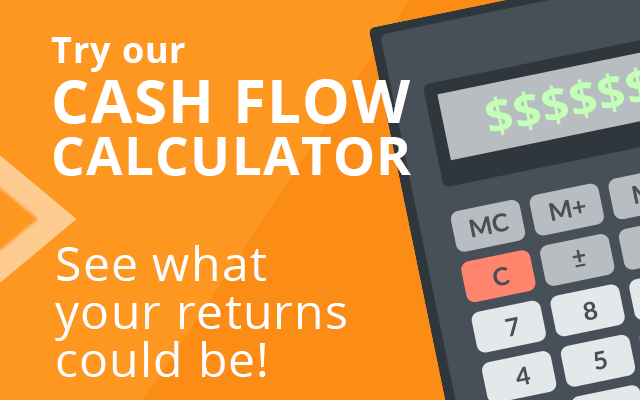 That’s because you are looking at one thing only – the potential for cash flow. So long as you choose a property that can produce consistent cash flow month after month and year after year, you don’t want to sell that property. It’s paying for itself, and it’s putting money in your bank accounts, which you can use to buy more rental properties that generate cash flow. If you have heirs, you can leave it to them. Otherwise, you only sell the property if you need a sudden large infusion of cash, as might occur if you suddenly are saddled with expensive medical bills. By then, you likely have extracted a great deal of profit through your cash flow. When real estate investing for cash flow you need to do your homework and choose a rental property located in a market with long-term potential, such as one with historically high occupancy rates, rather than one subject to volatility. If your rental property is located in a market where property values plummet, your potential for cash flow is much lower. That’s why you need to do your homework and choose your property wisely. Ultimately, you are investing in the market, and not the property. While it sounds simple enough to invest based on cash flow, you need to ensure you obtain rental income properties capable of consistently generating cash flow. To do that, you’ll need to plan for the unexpected, like a sudden flood that forces your tenants to evacuate, or other threats that could reverse your cash flow. Including unexpected costs in your monthly cash flow calculations will help to ensure you not only have invested in the right market, but in the right property, too. Look for market opportunities that offer lower property values and high rents, this is the magic formula for producing positive cash flow. 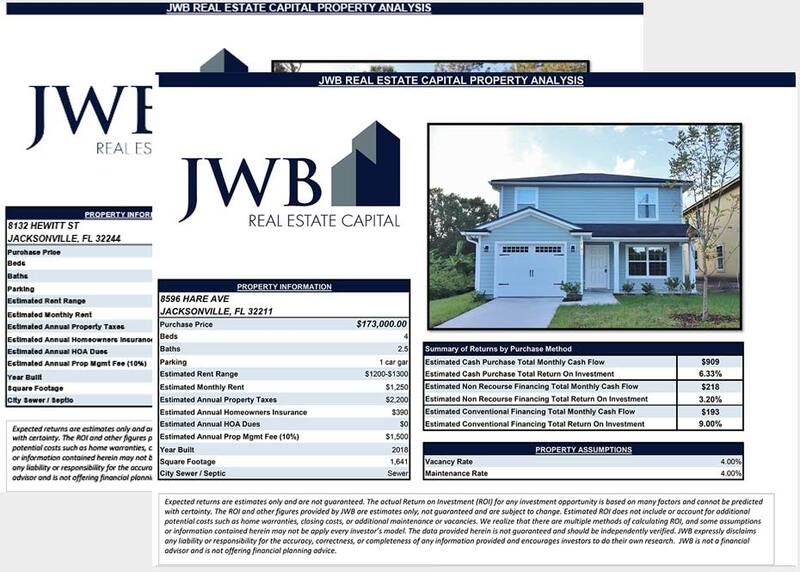 At JWB, we invest in the Jacksonville, FL market because of the lower property value to high rent opportunity. This market, along with our experience, allows us to consistently provide above average returns for our clients.